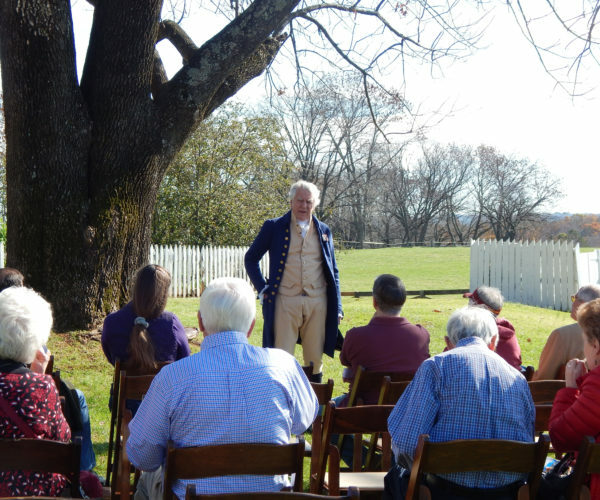 Visitors can listen to Colonel Monroe in performances held at 2:00 and 3:00 p.m., as he recounts the American Revolution. From 2:00 to 4:00 p.m., a living timeline of veterans will represent soldiers from the Revolutionary War through Operation Desert Storm. Visitors are invited to explore the evolution of the American soldier since Monroe’s day. Two World War II Jeeps will also be on display. For non-military visitors the veterans timeline, Monroe performance, and the guided tour are included with admission.